There is new information Thursday about the thrill ride involved in a deadly malfunction at the Ohio State Fair. Records show inspectors repeatedly looked over the ride and signed off on it just hours before it came apart Wednesday evening, throwing passengers into the air, killing a high school student and injuring seven other people. Ohio Gov. John Kasich has ordered all rides at the fair shut down until they are inspected again. Meanwhile, amusement ride inspections are already underway at the State Fair of Texas, which opens in a little more than 60 days. Fair officials in Texas are trying to reassure customers that the State Fair of Texas has the toughest inspection process in the country. Rusty Fitzgerald, senior vice president of operations, helps check every piece of equipment on the amusement rides. "Every single car has been done," Fitzgerald said, in the shadow of the famous Texas Star Ferris wheel. "We are going to check these welds." "We have the premier safety program in the country, and we double-inspect everything," he added. The State Fair of Texas hires its own team of seven inspectors to run a second set of checks on rides beyond what the state requires — even metal tests to catch problems the eye can't see. "Just to make sure there's no cracking or metal fatigue anywhere," Fitzgerald said. Fitzgerald says there are probably hundreds of rides across the country with a similar design to the one that failed in Ohio. In fact, the State Fair of Texas planned to use one of the same style this year, but that's on hold now until they learn more about what caused the Ohio accident. "That ride's got a very good safety record on it. I don't know what happened. We are going to find out. We are going to work with the manufacturers and operators up there, and we will find out," Fitzgerald said. 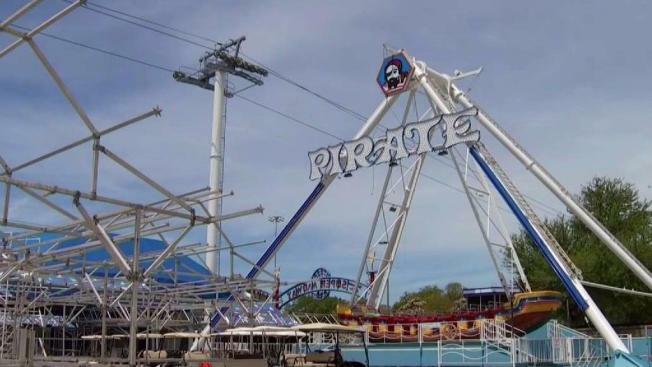 Nationally the Consumer Product Safety Commission says it is aware of 22 deaths associated with amusement attractions, including rides, since 2010. The State Fair of Texas has not had a death from an attraction since the 1980s. In 2015, one worker suffered minor injuries when a wheel came off a ride. Fitzgerald says his team goes above and beyond to keep people safe, even sending inspectors to other states to check out rides before they arrive here. "We actually have inspectors that are at the Wisconsin State Fair inspecting the rides that are going to come here," he said. "We will have them in Minnesota before they come here so they have multiple inspections before they even arrive here." The Texas Department of Insurance is responsible for overseeing the inspection process. State officials say consumers at fairs and carnivals should look for inspection stickers to make sure a ride has been checked by a qualified inspector.